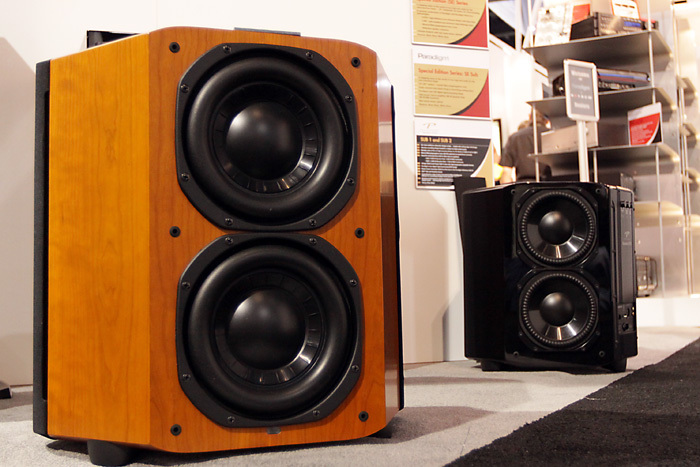 Paradigm® Blog | News & Updates: Paradigm Reference Earns "Showstopper" Status from Soundstage! Paradigm Reference Earns "Showstopper" Status from Soundstage! It wasn’t that many years ago that Paradigm made only conventional-looking speakers and subwoofers in rectangular boxes at prices low enough that most people could afford them. For a very long time, they were known for products that provided great value but didn’t necessarily represent the state of the art. Though still a leader on the budget side, in recent years Paradigm has gone upscale to challenge the best there is, and there’s no better evidence of that than their new Reference Signature Sub 2 (front left) and Reference Signature Sub 1 powered subwoofers. These aren’t like the Paradigms of yesteryear, and the company knows it. Their product literature boldly proclaims: "Our most ambitious subwoofer to date . . . loaded with cutting-edge technology!" A close look at these two products reveals little evidence to contradict that. Click here for the full report!